Windows partition recovery software is an advance and powerful tool facilitates to salvage data lost due to virus infection, power failure, improper system shutdown, hard disk crash, software malfunction, accidental format etc. Hard disk data retrieval application even restores files deleted from recycle bin or using Shift+Del key combination. 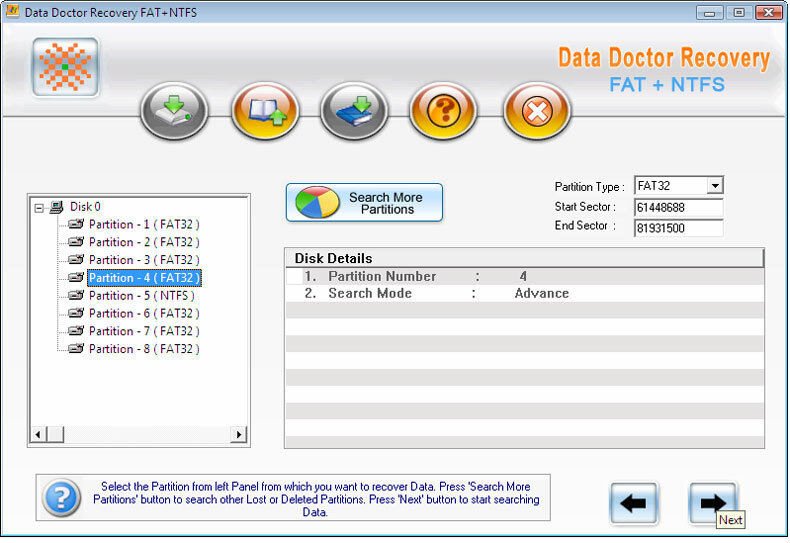 Windows FAT NTFS file rescue program supports VFAT, FAT12, FAT16, FAT32, NTFS and NTFS5 file systems. Qweas is providing links to Windows Partition Recovery Software 3.0.1.5 as a courtesy, and makes no representations regarding Windows Partition Recovery Software or any other applications or any information related thereto. Any questions, complaints or claims regarding this application Windows Partition Recovery Software 3.0.1.5 must be directed to the appropriate software vendor. You may click the publisher link of Windows Partition Recovery Software on the top of this page to get more details about the vendor.